The first step to getting the most out of your printed materials is securing a location where you will be seen. You might not be able to afford the most expensive position at the trade show, but you can still think strategically about your placement. People tend mingle in a counterclockwise position. We are programmed to look at and pick up items on our right. Although trade-show lanes are not one-way, try to avoid a position that places your booth on the left side of the flow of traffic. Other strategic locations will be places where people congregate, such as food areas. If people are waiting in line, they are most likely looking around. Be nearby to catch their eye as they are waiting, coming, and going. Even if they do not stop right then, you are leaving an impression of your brand on their minds. High-quality banners not only speak well of your company, but they are a practical investment since they can be used over and over again. Retractable vinyl banners make transporting and set up easy and damage-free. Select vinyl that is UV protected and rated for either outdoor or indoor use so that you can use the banner for many different occasions. Keep the graphic desigm crisp and clean. Just because a banner has a large surface doesn’t mean you should fill it up. Less is more in banner design. Remember, people will be reading your banner from a distance. Use captivating branding images and your logo. Be sure the images are appealing and easy to interpret. And be generous with white space: if your layout is crowded, it will be difficult to read and your potential leads will just move on. Avoid the traditional layout that involves a table with you behind it—it’s just not welcoming. Instead, have a layout that invites attendees into your area. Even small spaces can have a floor plan that is open, encouraging the attendees to browse and ask questions. But be sure that your open layout doesn’t turn into a disorganized layout. Place items in a way that keeps the customer’s eye moving. If you are selling items at the trade show, clearly display prices. Think strategically about where you place brochures, business cards, and other promotional materials. 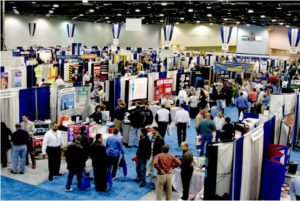 Trade-show attendees are often bombarded with promotional items. Most get thrown in a bag and sorted out at their hotel room or when they return to their offices the next week. While it may seem like you are giving away a lot of product, think of it as a second chance to make a good impression. Do you have promotional items that won’t get just thrown in a drawer? Think out-of-the-box, and beyond pens and hats. For example, how about a promotional puzzle? Attendees are less likely to throw something away or toss it in a drawer if they perceive it as having value. Even if they give it to their child to put together, your brand will receive extra exposure every time the attendee sees the completed puzzle. 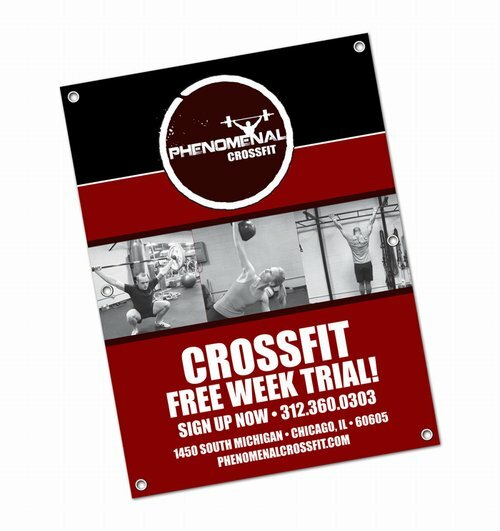 While magnets aren’t necessarily unique, they are a practical promotional item that can get a lot of exposure. Whether your magnet gets taken home or placed on the office refrigerator, your brand is being reinforced every time someone uses the refrigerator. The truth is that those who see trade shows as investments are the ones who find real success and end up with the highest ROI. Trade shows are like any other marketing medium. You rarely see a payoff right away. It’s about building brand awareness, establishing relationships, and generating new leads. This is why the appearance of your booth and your printed materials is so important. You are making an impression on potential customers for future sales. Let your potential customers explore your booth. Gone are the days of pushy sales people; no one has the patience for that. If you are selling tangible product, have plenty of samples out. If you are launching a new product, have several out to play with. If the new product is coming out later, why not display a 3D prototype for customers to touch and feel? Appeal to all the senses to make a more lasting impression. Consider having touch-screen computers or iPads available to give customers a self-guided tour of your product. Be sure that the design of your digital tools matches your printed materials. Let visitors explore your promotional items, as well. Make it fun. Let them pick what they want to take home. Research shows that 78 percent of trade-show attendees travel more than 400 miles to attend an exhibition. 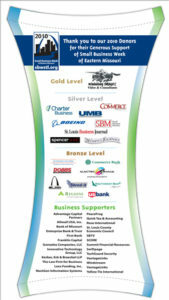 This means that even if you are participating in a trade show in our hometown of St. Louis, you are still getting the opportunity to get before a national audience. 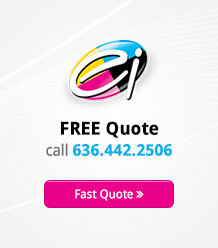 Tap that potential by getting high-quality materials printed in St. Louis by experts in the field.